Break through procrastination. Improve your life. Meet other awesome thirtysomethings. All from your own living room. What could you accomplish if you were able to get into action anytime you wanted to? What’s keeping you stuck and stopping you from making the changes you want to make in your life? How can you break through procrastination once and for all? This year, Thirtysomething Summer Camp is all about helping you answer those questions. Are you constantly putting off the steps you know you need to take to get what you want? Are you sick of seeing people around you create great things, while you sit on the couch watching Netflix and not even enjoying it? Do you wish you were actually making changes in your life instead of just thinking about it? You have a step you want to take, a habit you want to practice, an idea or a project you want to create, a change you want to make, a huge gaping life question you want to figure out the answer to…but each the time to take action comes around, you put it off to get started tomorrow. But then tomorrow comes, and the same thing happens. This is important, you tell yourself. This isn’t even that hard, you might think. Maybe there’s actually something wrong with me, you might even wonder! I know what it’s like to have goals for yourself, and see day after day after day flip by with no progress towards them. I know how it feels to be constantly putting off the action that you just KNOW you need to take. I have felt the shame, self-loathing, and dwindling sense of personal integrity that comes from breaking a promise to myself, again. I have felt the stress that comes from racing to meet an external deadline because I waited until the last minute. I know the feverish urgency of wanting to create something, combined with the fear of actually starting. I’ve felt the disappointment in myself for not reaching my full potential. I’ve heard the master rationalizer within me make excuses for why I didn’t do it this time (or why it isn’t even actually the right time, or why it isn’t even really that important—what’s the big deal?? )—while the pacifier inside assures me that I can get started…tomorrow. Every single person who hires me or even contacts me has this in common: they are not taking action on something important to them. It matters because great careers, fulfilling relationships, and overall amazing lives are built with intentional, consistent action—and if you are stuck in procrastination, by definition you’re not taking the action to make the changes you want. In that sense, procrastination is THE monster that’s preventing thirtysomethings everywhere from creating the lives they love. After hundreds of hours coaching people to achieve all kinds of goals, I’ve discovered and observed clear patterns in what keeps people stuck…and what gets them into action. Like the client who knew at her core that she was a writer. She went from thinking about writing every day—but not actually putting pen to paper/fingers to keys—to being published right and left. Or the client who finally took a burning idea to build an organization and went from casually fantasizing about it to actually creating it. Or the man who procrastinated dating for a long time, and, through our work together, finally made it a priority and took steps to meet the woman he married. Or the woman who had been unhappy at work for YEARS, and finally took the consistent action needed to transition to a job she loves. Here’s the bottom line: YOUR LIFE IS TOO SHORT TO BE WASTED IN PROCRASTINATION. Now is all we ever have. It’s time RIGHT NOW to break through procrastination and start taking action…and KEEP taking action…toward creating the life you want, and making the contributions you’re meant to make on this planet. Know this: you don’t have to do it alone. When you’re breaking through a beast like procrastination, you deserve the support of someone who believes in you and has the tools, expertise and passion to help you figure it out. And you need the support of a community of like-minded individuals who are going through the same stuff. That’s what Thirtysomething Summer Camp is designed to provide. In the virtual group coaching program “Break through Procrastination”, you’ll join other thirtysomethings and almost-thirtysomethings who are committed to breaking through their own stuckness to take action. I’m putting all my best insights and strategies from years of working with clients into this program. And at a fraction of the investment for private coaching with me, this group coaching program is the most affordable way to get these tools and do this work. Tell yourself, ENOUGH is ENOUGH! And take a concrete action to back that message up and show the procrastination monster who’s boss: join us. Register right now for Thirtysomething Summer Camp 2016, where you will get the awareness and the tools and develop the muscles you need to start creating a life that Future You will be proud of and grateful for. Together, we’ll kick your procrastination habit to the curb, so you can get to work building the life of your dreams. I will help you figure it out. P.S. Hear that sick-of-this-procrastination-crap ROAR? That’s Powerful You, ready to Get. This. Game. ON! P.P.S. To guarantee personalized attention, enrollment is limited to 16 spots. Secure yours now! In-session activities and between-session assignments get you moving and keep you on track! Carrie’s passion is helping you create the life you want. She’s bringing you her very best tools to help you get there. Meet other thirtysomethings who are figuring it out along with you. This summer, join a group of other thirtysomethings and Carrie Spaulding, The Thirtysomething Coach, in a fun and supportive 8-week workshop. No need to travel! Because this is a VIRTUAL program, you can attend camp from your home or vacation spot—wherever you are in the world! You’ll call in to sessions on your phone from wherever is convenient for you—your home, your office, your car—anywhere that fits your schedule. Best of all, you’ll be joined by other thirtysomethings who can relate to what you’re going through, providing a sense of community, camaraderie, and support! “Carrie provided the “real talk” I desperately needed in the most compassionate way possible. She helped me get out of my head when I was spiraling. Carrie demonstrated an ability to refocus my attention to more productive ways of thinking—something I couldn’t have done without her. And she continually helped me see my pattern of overwhelm and avoidance, and even break through my seriously pugnacious resistance to changing those habits! The strategies and tools I gained through Carrie’s coaching will stay in my arsenal for future use forever. When you join Thirtysomething Summer Camp, you join a community of other awesome thirtysomethings who are truly invested in creating the careers, relationships, and lives they want. Come to camp to make new connections that will last well after the last session. At Thirtysomething Summer Camp, we’re all in the same canoe. Get tools, tips, and knowledge to break through procrastination and get into action. Time in every session for active participation and Q & A. Every session is recorded in case you have to miss a session, or want to listen again. Workbook full of exercises to help you apply your learning and create your breakthroughs. 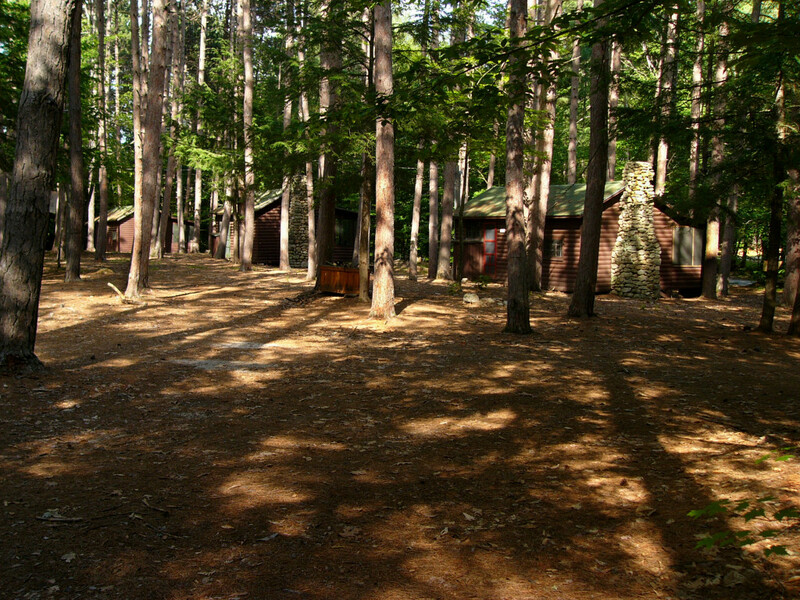 Call into camp from anywhere in the world–your home, office, car, or travel lodgings! Get to know and interact with other thirtysomethings in a private Facebook group. Send your homework, ask questions, and share insights with your counselor. You’ll have to option to form an accountability partnership with a fellow camper, to support each other as you move through the program. I signed up for summer camp because I thought the theme, Confident Communication, would be relevant for my personal and professional life. I knew that I sometimes had difficulty articulating to my partner what I was feeling, not so much because I was uncomfortable doing so but rather because I couldn’t figure out how to explain it. I also thought that these skills would be helpful for my job as a professor, as I routinely discuss challenges and issues with my students. Thirtysomething Summer Camp was very well organized, thought-provoking, and helpful. I developed skills that have greatly improved my ability to identify and communicate what I am feeling as well as to help my partner articulate his thoughts. I also feel that I have been able to dialogue with my students more effectively about the issues that concern them. The most important thing I think I’ve learned is to feel more comfortable exploring my thoughts and emotions, as I feel like I have better skills to do so. Carrie is particularly strong at asking helpful, leading questions. She doesn’t give you the answer, but she helps you develop the answer yourself. The result is so much more powerful, as you realize that you are indeed capable of changing your thought patterns. I enjoyed hearing others’ perspectives—both to know that many people shared many of the same concerns and also to hear different ideas I had never considered. I learned a lot from my fellow campers. It was very helpful to have the time to dig more deeply into specific concerns as well as to go over questions and issues I wasn’t comfortable bringing up in the group setting. As a result of Thirtysomething Summer Camp, I feel more confident and capable in difficult conversations. I have also learned to recognized unhelpful thought patterns more quickly—even if they still pop up, I have learned not to take them at face value and rather dig more deeply to figure out what is really bothering me. I have told friends that it helped me identify the real questions I was asking myself, since it’s so easy to get lost in broad concerns that don’t actually tell you what you’re worried about. I tell people that it’s much easier to figure out what to do once you understand what’s at the heart of your concerns! The workbook was extremely helpful, and I greatly appreciated Carrie’s investment in the program, in terms of being available for email follow-up and for posting recording on our private site. I felt like I really had the tools I needed to make the most of the experience! “When I started working with Carrie, I was focused on small projects that needed structure and direction. Personal challenges left me putting out fires and feeling guilty at my lack of accomplishments instead of getting polished results for which I could be proud. Carrie assisted me in identifying problem areas, outlining goals, setting guidelines and giving myself rewards for successes. As a result I am feeling good about the tasks I have in front of me and I now have the confidence to tackle new projects objectively and with a focus on the results and rewards of doing a job well done both personally and professionally. I am now able to fend off procrastinating and actually enjoy scheduling challenging tasks for myself. “It forced me to articulate what I want and what I need and realize through that articulation process, that the two things do not necessarily differ. Setting a goal and being held accountable for it was extremely helpful. A ball has started rolling in thinking about my future and deciding what it will look like, rather than just waiting for it to happen to me. Carrie got right down to the core and I was able to envision my next steps in a whole new light. Throughout the process, I became more confident, assured and less critical of my business and was able to find clarity around what I wanted as opposed to what I thought I wanted. Breakthroughs galore. As a result of working with Carrie, I feel less afraid to deal with getting a job. It set the wheels in motion, showing me some truths about how I think about my situation. Truths that I’ve never verbalized or even thought about previously. Carrie helped me clarify a lot of my thinking and issues and brought some of my “patterns” into light. How liberating!!! She is very patient, shrewd, and very in tune with her clients. She is an amazing listener and is very compassionate and caring. Carrie has an amazing intuition as well and asks very powerful questions, just at the right time! She will be the one who will raise your energy level and bring you to recognize your highest potential. That is how her beautiful work helped me! I will recommend Carrie to anyone!!! “When I first found Carrie, I was working at a job that wasn’t right for me, and needed help narrowing down what I wanted for myself. I felt very overwhelmed and unmotivated and Carrie helped me to take the appropriate steps needed to transition into a career industry that would bring me happiness. Through the coaching process, I felt like I was able to be honest with myself about my true desires, wants, needs, who I am. At times it felt as if there was no answer to the questions, but Carrie gives many examples or perspectives to help you find answers to those questions. We would talk through different perspectives and Carrie really helps to break down each situation and feeling to its most honest form. 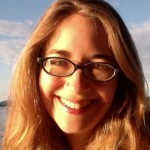 Carrie’s coaching style is nurturing, effective, sincere, enthusiastic, and individualized. I felt a sense of calm when talking with Carrie about personal issues. I find Carrie’s sincerity was most valuable. After a breakthrough was made, I loved her enthusiasm. There is a great sense of relief, pride and optimism once you get through those barriers together. As a result of working with Carrie I was able to transition into a job in the industry I wanted. I am able to stay on the right track of my goals, what kind of person I am, what makes me happy. I notice that I value myself more, I have techniques I can refer back to when I feel lost or overwhelmed, and I feel like I have another support system from Carrie. I would recommend Carrie to anyone, any age, who feels dissatisfied with a current situation, and is looking for ways to discover what does fulfill their wants and needs, and transition smoothly and confidently into the direction of change. I love working with you, Carrie! You help me through some of my toughest hurdles and make me feel again! Before working with Carrie, I felt restless about almost every aspect of my life — career, relationships, even where I lived – and had no idea how to sort it all out. My goals were to find a job more aligned with my values, prevent my social life from continuing to dwindle as friends moved away or got married and I remained single … and to pursue not being single anymore. I was approaching 30 and felt like an impostor— not liking how my life had turned out, but finding myself scraping the bottom of the barrel for ideas of how to fix it. Carrie provided the “real talk” I desperately needed in the most compassionate way possible. She helped me get out of my head when I was spiraling. Carrie demonstrated an ability to refocus my attention to more productive ways of thinking—something I couldn’t have done without her. And she continually helped me see my pattern of overwhelm and avoidance, and even break through my seriously pugnacious resistance to changing those habits! Carrie’s coaching process of working toward small, actionable goals helped me build momentum and get my footing. Thanks to Carrie’s tool box of resources, after a year of coaching, I discovered a career that combines my love of writing with global and social issues. As a result, I’ve had several interviews for jobs that excite me in a completely new field. I gained new perspectives on friendships and relationships. Most importantly, the strategies and tools I gained through Carrie’s coaching will stay in my arsenal for future use forever. Carrie’s coaching style is exactly what I never found in other professionals—unaffected, sincere, and meticulous. She is like a therapist, wellness guru, and career expert crossed with your favorite camp counselor, cheering you on, ensuring your safety, and making sure you have the best summer ever. Don’t Procrastinate Your Camp Registration!!! 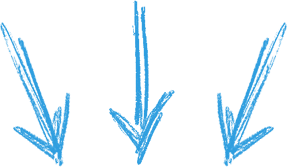 Take your first step kicking procrastination to the curb by reserving your spot NOW. You’ll guarantee your spot, and also save $100 for your fast action! Okay! I’m ready! I can’t wait! SIGN ME UP! Sorry, enrollment for Thirtysomething Summer Camp 2016 is now closed! Stay tuned for Thirtysomething Summer Camp 2017. Want to be the first to hear about any programs from The Thirtysomething Coach? Sign up for updates and free resources here. Can’t wait for camp to start? Get free tips and tools from The Thirtysomething Coach here. I’m not a 30something, but summer camp sounds like a great fit for me! Can I enroll? YES! All are welcome. If you have a gut feeling that you’re meant to camp with us, we want you there! Beyond that, the rest of our campers will benefit from your perspective as a 20-/40-/50-/60-/70-something! My schedule prevents me from attending some of the camp sessions live. Can I still enroll in camp? Absolutely. I understand that schedules can be tricky, so I’ve designed camp to be flexible. Because you’ll get recordings of every session, you can listen at any time that’s convenient for you. What’s more, you’ll still be able to connect and engage with other campers on the campsite and in the private Facebook group—so you won’t miss out on being a real part of the tribe. Of course, if you can make the calls live, all the better! I’m an introvert and the idea of live participation makes me a little nervous. Will I still be able to make connections at camp? 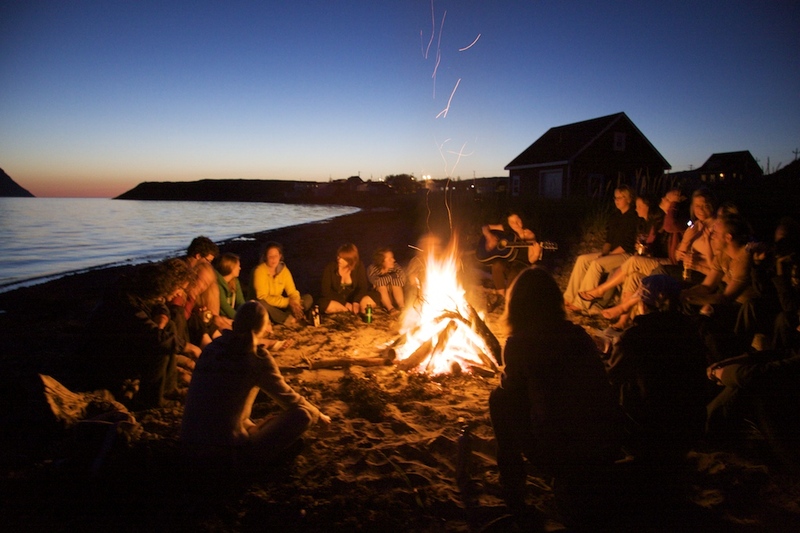 Beyond that, there are other ways to connect and share at Thirtysomething Summer Camp. These include commenting in written form in the private Facebook group, emailing your camp counselor (that’s Carrie! ), and connecting one-on-one with a “bunkmate” who will serve as your camp buddy and accountability partner. In between sessions, you’ll have exercises and tools that you can process in your own time and your own way. What’s more, all campers will have access to a camp directory with the contact information of any campers who choose to share it. This will give you the chance to connect with other campers one-on-one and in your own style. I want to work with Carrie, but I'm not sure if I want to sign up for a group program or for private coaching. What can I expect in private coaching sessions? Some people prefer group programs, some prefer private coaching, and some like to combine Thirtysomething Summer Camp with private coaching sessions. You can use private coaching sessions to get individualized support with your camp work, or to work on any goals you have. You can learn a lot more about private coaching with Carrie here. If you’d like to sign up for a private coaching session now, or add private coaching sessions to your Thirtysomething Summer Camp registration, contact Carrie with your request. Just ask. Email Carrie now. 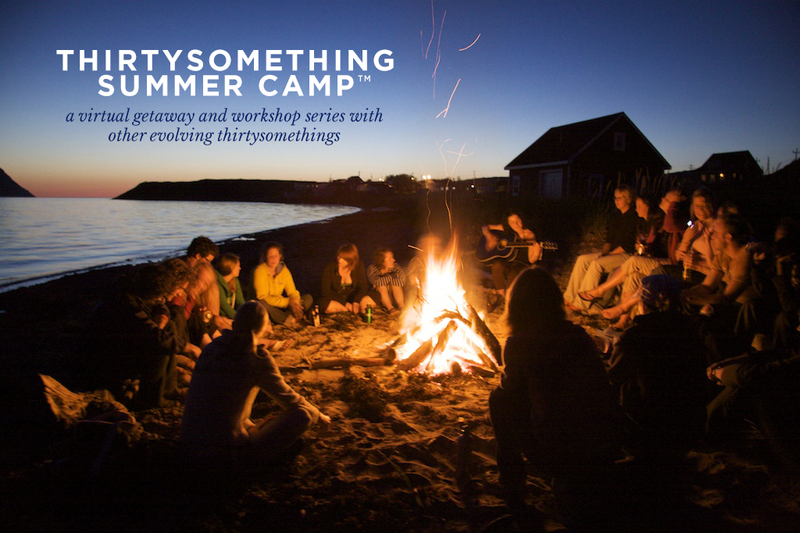 Have questions about Thirtysomething Summer Camp?